Untouched as Unknown features digitally re-mastered landscapes from Nepal and Antarctica where artist Jae Hoon Lee travelled in 2012 under the Antarctica New Zealand Arts Fellowship Programme. Lee’s confronting and seamless photographic landscapes are composed from numerous individual images taken over a period of time and from varying perspectives to combine reality and the virtual. Travelling is central to his art practice, in the last five years the artist has travelled to and captured Egypt, India, China, Mexico, Nepal and most recently Antarctica. In the vast mountain ranges of Nepal and endless ice fields of Antarctica, Lee holds in balance a visual sense of dislocation and unity in these foreign and overpowering places. 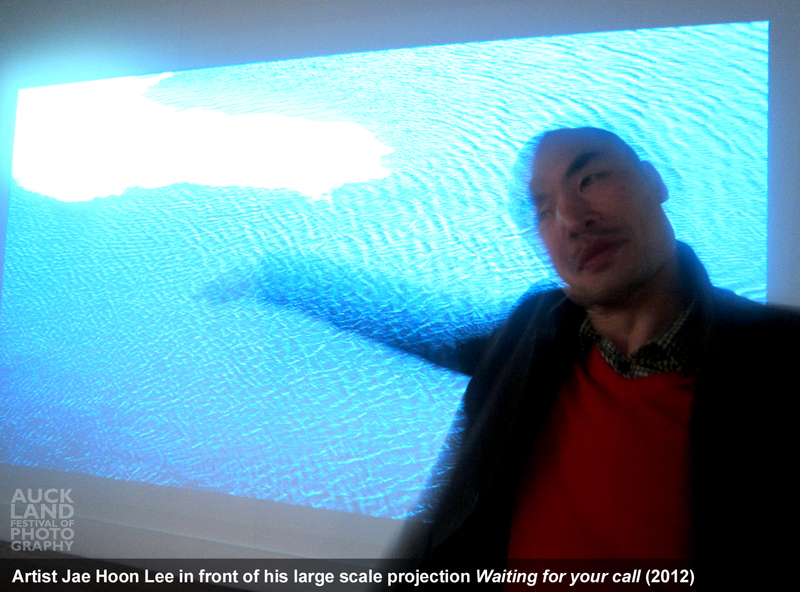 Specific to his time in Antarctica, Jae Hoon Lee produced Dry Valley, Pressure Ridge and Waiting for your call (all works 2012). In Pressure Ridge the artist flawlessly montages sections of the Scott Base exercise ground with red flags that signal the safe passageways through the potentially treacherous ice field, through his collaging he creates unknown routes that do not exist. Waiting for your call, a large hypnotic projection of the vast Pacific Ocean and solid sea ice is taken from the perspective of Robert Falcon Scott’s first hut in Antarctica. In Annapurna and Trekking (both 2010) the artist reworks countless images taken while hiking the well-known Annapurna trek in Nepal. Lee retouches and seamlessly merges together a succession of frames taken at different times throughout the trail to construct an alternative journey or location. Jae Hoon Lee terms his still and moving images as digitally collaged photography using Photoshop. The artist focuses on digital photography as an easy documental tool that allows him to capture source imagery from distant destinations. This exhibition is part of the Auckland Festival of Photography 2013. Jae Hoon Lee is a Korean born, Auckland based artist with an art practice centred in photography. The artist completed a Doctorate in Fine Arts in 2012 from Elam School of Fine Arts, Auckland University. Lee has exhibited extensively, nationally, in Australia and Asia. His work can be found in the art collections of Art Gallery of New South Wales, Sydney, Chartwell Collection, Auckland Art Gallery Toi o Tāmaki, James Wallace Arts Trust, Auckland, University of Auckland.